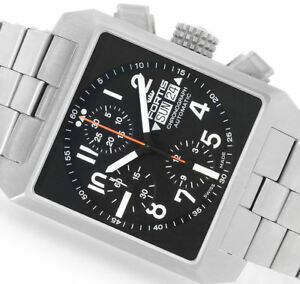 Hamilton Khaki Field Stainless Steel Auto 42 Chrono Valjoux 7750 H71516133 RARE! "ETA Valjoux 7750 REVISION Uhrwerk Überholung"
*$215 for 24 months. Minimum purchase required.